One of the major changes to the law that took effect in 2019 is the revised felony murder rule. Previously, under California Penal Code Section 189, you could be convicted of murder if you were involved in a felony crime where another person committed the act of killing someone. However, under Senate Bill 1437, this law recently changed, but a California judge ruled that a felony murder case could proceed, raising concern over how the law will be applied moving forward. Before the start of 2019, you could be convicted of murder if you took part in the commission of a felony where a person was killed during the incident. It did not matter whether you were the person who actually killed someone. For example, let’s say you and a friend planned to rob a convenience store. Your role was to drive the getaway car, so you wait in the car while your friend goes into the store. Then, your friend fires a gun and kills the cashier. Although you did not actually commit the act of killing someone, you could be convicted of murder under the felony murder rule. This law allows those who are serving sentences for felony murder to be resentenced, and some have already been released from custody, but one judge recently sided with an Orange County prosecutor seeking felony murder charges, according to reports. Orange County District Attorney Todd Spitzer is pursuing felony murder charges against a person who was an accomplice in a 2016 killing that took place in Buena Park. Superior Court Judge Gregg Prickett allowed the prosecution to proceed, ruling that Senate Bill 1437 conflicts with voter-approved ballot measures in California. Prickett reasoned that citizens approved the felony murder rule in 1978 when they voted to expand the death penalty and allow new categories of accomplices to be charged with murder under Proposition 7. He also referenced Proposition 115, which was a 1990 ballot measure that expanded laws allowing people who did not actually kill to be charged with first-degree murder and required a two-thirds vote from the Legislature to prevent those prosecutions. SB 1437 did not receive a two-thirds majority vote. Prickett’s ruling is expected to be appealed, and that could dictate the fate of the felony murder rule. If you believe that a loved one may qualify for resentencing under the new laws that went into effect on January 1, 2019, you should contact Wallin & Klarich immediately for help. 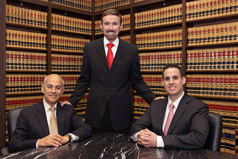 Our skilled murder defense lawyers have been successfully representing clients accused of murder for more than 35 years. Let us help you now. With offices in Orange County, Riverside, San Bernardino, Victorville, West Covina, Torrance, Los Angeles and San Diego, you can find an experienced Wallin & Klarich murder defense attorney available near you no matter where you are located. Call our office today at (888) 280-6839 for a free phone consultation. We will be there when you call.